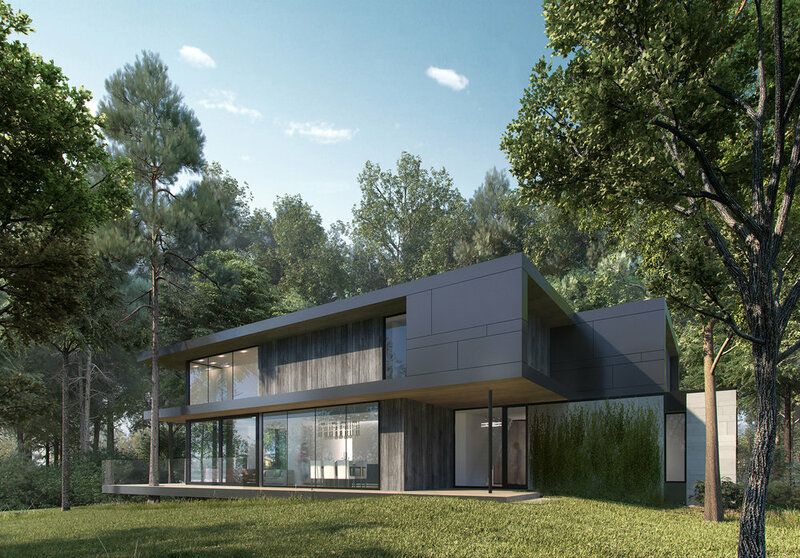 The proposed house sits on a secluded, forested site atop the Scarborough bluffs and backs onto a dense forest that descends a ravine towards Lake Ontario. The design follows a holistic approach to respect and preservation of its natural surroundings. The foundation sits on helical piers to allow for minimal soil disturbance and terraces are cut away to allow mature white pine and tamarack trees to grow through. 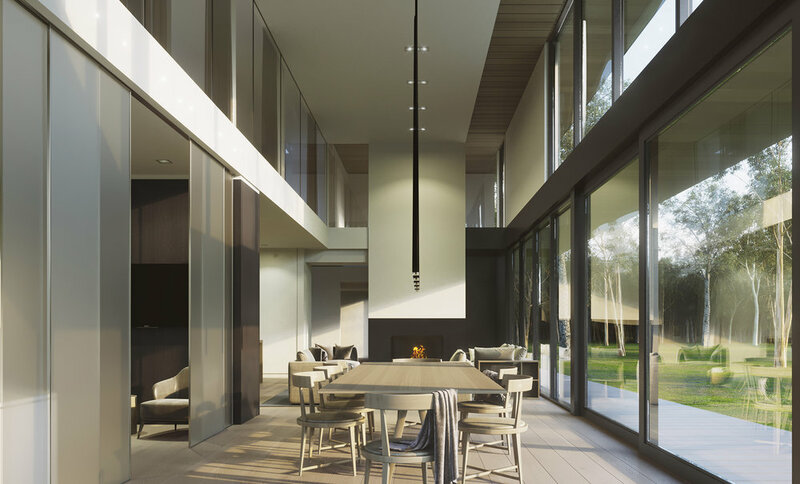 The design creates the illusion that the house and landscape have co-existed for decades. Clad in a muted palette of charred wood, dark metal, stone and glass, the design is intended to blend into its surroundings. Stone clad volumes are embedded in the ground while cantilevered terraces and frame elements float above the forest floor. 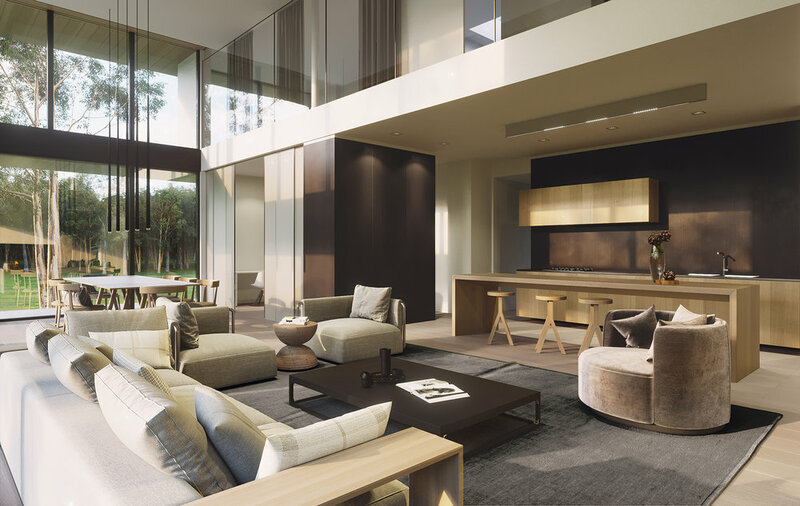 The interiors are organized around a grand double height living space and offer unparalleled views to the forest beyond.